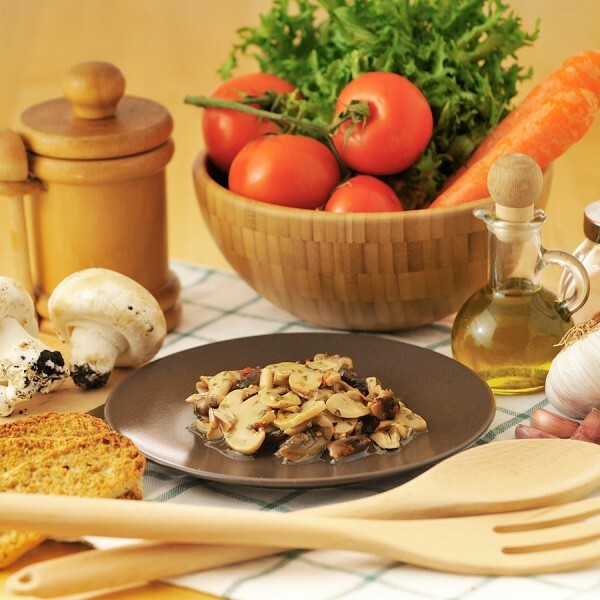 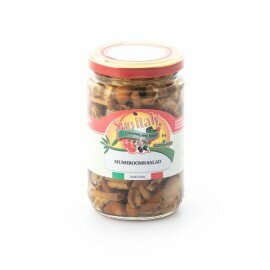 An accurate selection of high quality mushrooms, chosen, prepared and preserved as in the healthiest tradition. Enriched with parsley, oil and white wine vinegar, they are an excellent garnish for cold dishes and an original way to decorate the most different dishes with taste and imagination and to bring every day to the tables the intense and fragrant scent of the forest. 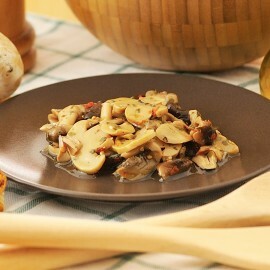 65% mixed mushrooms (21,6% 'chiodini' mushrooms (Pholiota mutabilis), 21,6% mushrooms 'di muschio' (Volvaria volvacea), 21,6% button mushrooms (Agaricus bisporus) all in variable proportion), 34% sunflower oil, parsley, garlic, chilli pepper, white wine vinegar (wine, Antioxidant: potassium metabisulfite), salt.